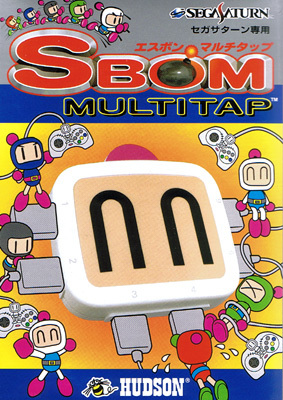 Delightful Bomberman themed multitap for the Sega Saturn allowing you to experience the ultimate multiplayer mayhem of Bomberman amongst other multiplayer compatible titles. 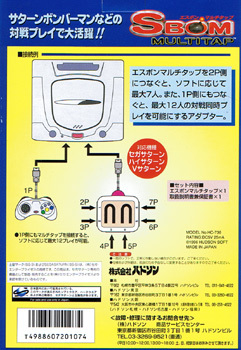 With up to six players possible per multitap, the next outlay is for the joyapds. Brand new. Front of box slightly concave.